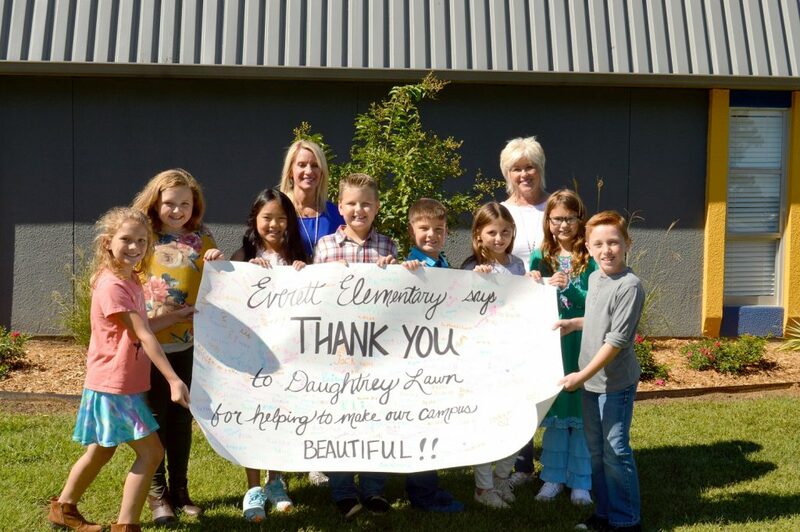 The Everett Elementary leadership team presented Cathey Daughtrey, back right, of Daughtrey Lawn Maintenance a big thank you banner for helping make the entry of their campus beautiful. From left are third graders Mia Tillery, Addyson Michael, Remy Tran, Logan Scholl, Brody Dyess, Ella Chaffin, Avree Bennett, and Jack Rusak. With students at the presentation is principal Lora Sanders, back left.